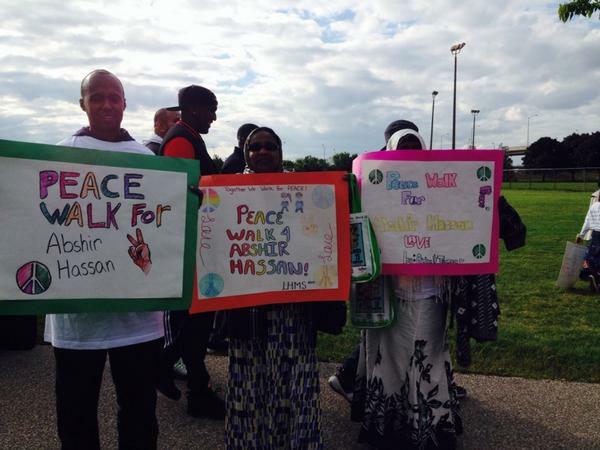 Friends organize walk in remembrance of Abshir Hassan, and other victims of gun violence in the Lawrence Heights and Neptune communities. Photo by Twitter user <a href="https://twitter.com/jonathanvirtue/status/511238146051538945/photo/1" target="_blank">Jonathan Virtue</a>. WHEN: Sunday, September 14, 2–6 p.m.
Hassan’s murder remains unsolved, but lead homicide detective Steve Ryan is optimistic that the investigation will result in an arrest.